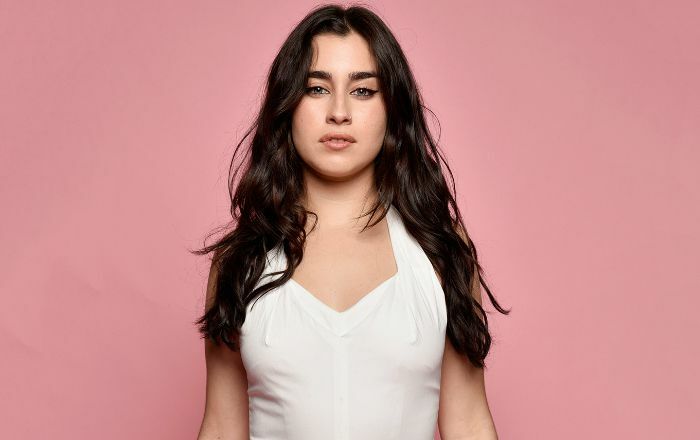 Lauren Jauregui is an American-Cuban singer and songwriter, who is best known as the part of the popular American all girl’s music group Fifth Harmony. She along with other members of the group gained attention when they made it to the second season of the United States version of the reality singing competition The X Factor. The group is immensely popular for their studio albums, ‘”Reflection”, “7/27” and “Fifth Harmony”, where they all peaked within the top 5 in Billboard charts. In March 2018, all the members of the group decided to embark on solo careers. Lauren Jauregui was born on June 27, 1996, in Miami, Florida, USA. Jauregui attended Carrollton School of Sacred Heart, an all-girls school in Miami. Lauren Jauregui is in a relationship with rapper Ty Dolla Sign. She has been linked with numerous celebrities such as Keaton Stromberg, Luis Santos and Brad Simpson in the past. In 2016, she revealed herself bisexual in an open letter to Donald Trump, which got published in the much-covered magazine Billboard. The band Fifth Harmony released their first single titled “Miss Movin’ On” in 2013. The single achieved instant success and charted on the Mainstream Top 40 and New Zealand, peaking at 27 in both countries. It was certified gold in the United States for selling combined sales and track-equivalent streams units of 500,000. Their debut EP, “Better Together’ was released on October 18, 2013. It peaked at number six on the Billboard 200 and number 18 in New Zealand. They released their debut studio album, “Reflection”, on January 30, 2015, to widespread acclaim. The album debuted at #5 on Billboard 200 and peaked within the top ten of Canada, Brazil, and Spain while reaching the top thirty in ten additional countries. The album’s lead single “Boss” debuted at number 43 on the Billboard Hot 100, earning the group their first top fifty entry. The album was certified gold and platinum in the US that saw sales over 155,000 copies. Jauregui released her first solo single called “Back to Me” in 2016. In May 2018, she announced that she is working on her debut studio album. In 2012, Lauren competed in the singing reality competition The X Factor USA. The girl group, “Fifth Harmony”, was formed during the show. Lauren received worldwide fame and recognition for being a part of the American girl group “Fifth Harmony”. The other members of the band are Ally Brooke, Normani Hamilton, and Dinah Jane Hansen. Camila Cabello was also a band member but left the band in December 2016. Lauren Jauregui has done brand endorsements for several brands including Wet Seal, JCorp (apparel), Accessory Innovations (accessories), Brown Trout (posters), Sky High (back-to-school supplies), Barbie doll, and Clean & Clear (a subsidiary of Johnson & Johnson). Lauren Jauregui has a net worth of $3 million. She lives with her parents in Miami, Florida, United States. She faced bullying and discrimination in school due to her Cuban American descent. During school years, she participated in extracurricular activities including the softball team and talent show. She was just 16 when she auditioned for the second season of the American version of The X Factor, where she sang Alicia Keys‘s “If I Ain’t Got You”. She cites Journey, Paramore, Alicia Keys, Christina Aguilera, Lana Del Rey and Avicii as her musical influences. In August 2015, she got the roman numerals “XXVII” inked on her right elbow. Jauregui was voted as the sexiest woman in top 100 list by Afterellen.com 2016. She was voted by the public as “Celebrity of the Year” at the 2017 British LGBT Awards. In 2017, She was featured on a single, “Strangers”, from Halsey’s album Hopeless Fountain Kingdom. She is a massive fan of the sitcom ‘Friends’ and has mentioned that Phoebe and Chandler are her favorite characters from the show. Lauren had her first kiss at the age of 13.